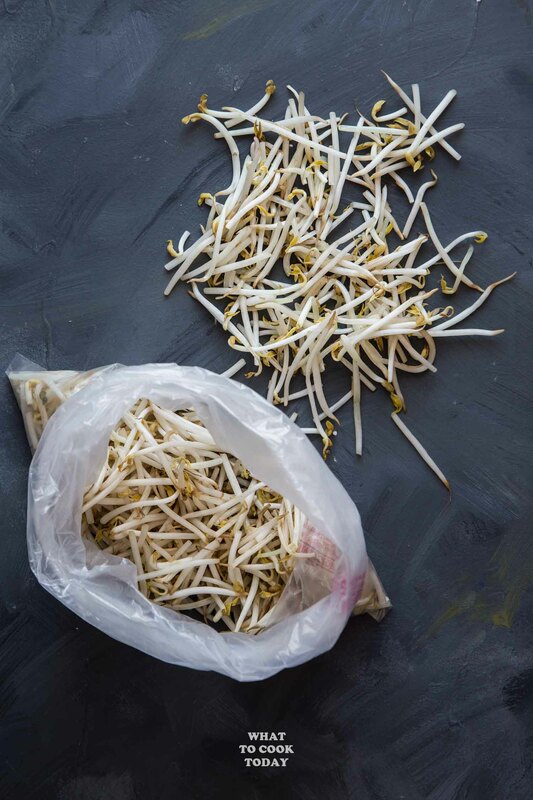 How To Keep Bean Sprouts Fresh Longer ? 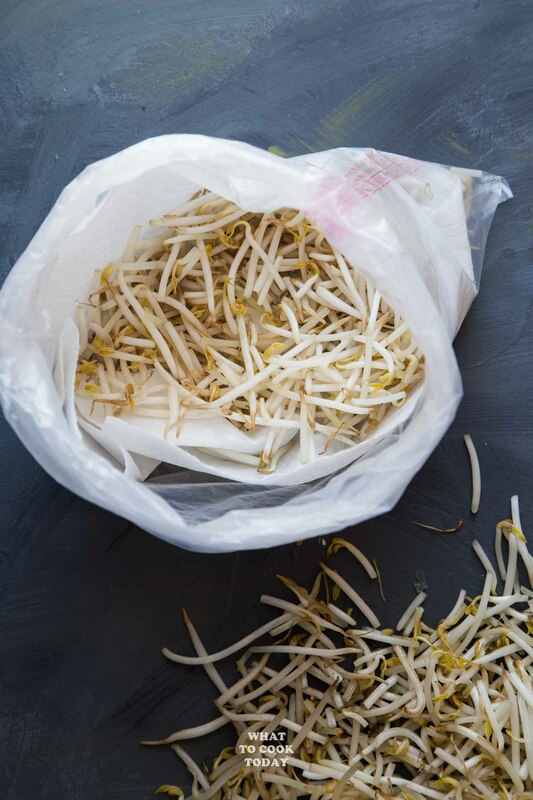 How To Keep Bean sprouts Fresh Longer? – Learn these tips on how to prolong the shelf life of mung bean sprouts. Beansprouts/mung bean sprouts are one of the ingredients I have in my fridge almost every week. I can probably say that they are quintessential ingredients in Asian cooking. They are used in salad and stir-fry a lot in Asian cooking. The problem I have (and I believe many of you too) is that bean sprouts do not keep for long. I can buy them fresh from the grocery store only to find them starting to turn into mush the next day. It’s pretty frustrating especially when you are getting ready to stir fry that noodle and here you are with a bag of mushy bean sprouts! NOT COOL! 1. Make sure you buy the freshest one you could possibly get. At the mainstream non-Asian grocery stores, usually the mung bean sprouts are already pre-packaged and expiration date/best buy date is on the package. If you store them in the fridge and use them before the expiration date, usually you are ok. In Asian grocery store though, most of the time (if not all the time), mung bean sprouts are sold by weight, which means you get how much you want. They are stored “open” in the refrigerator. If they look fresh to you, get them. If you see some of them don’t look so fresh anymore, don’t get it. Chances are, they won’t last you until the next day if you bring them home. 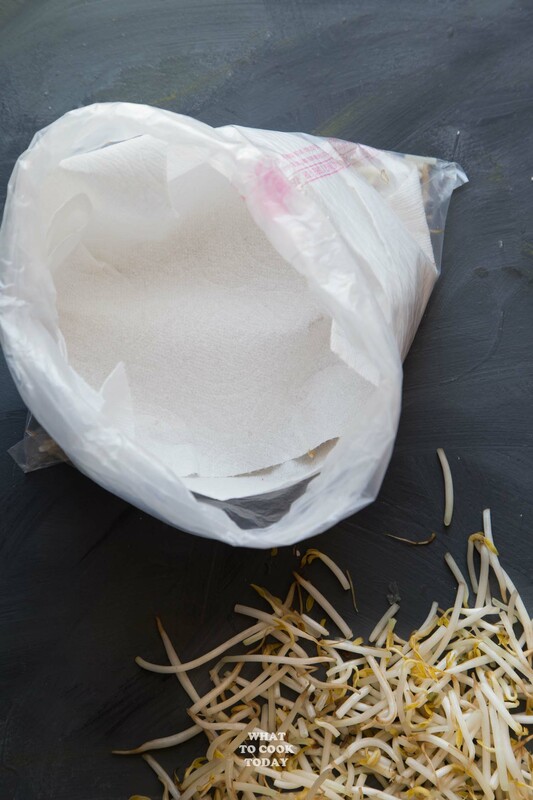 Loosely place the mung bean sprouts in there and then top with a paper towel and then place more mung bean sprouts on top and then cover with paper towel. About 2 layers instead of packing all in one layer. Store it open. The idea is to give them good circulation and keep them dry so they last longer. 1. HOW LONG CAN I STORE BEAN SPROUTS IN THE FRIDGE? If you store them the way I describe it above, they will store about 5 days max. Anything longer than that they will not be that crunchy anymore. 2. CAN I FREEZE BEAN SPROUTS? You can, but I don’t recommend it because I hate soggy bean sprouts. The texture deteriorates once you freeze them. They do last indefinitely when you freeze them, but I don’t want to use soggy bean sprouts in my salad or stir-fry. I highly recommend buying bean sprouts only when you do plan to use them in your cooking that week. 3. SHOULD I REMOVE BEAN SPROUTS TAIL OR NOT? When you remove tails from the bean sprouts, they look much better. My kids don’t like to eat bean sprouts with tails. I honestly don’t either. It doesn’t alter the taste a lot, but the stringy tails can be annoying to me! So, I would personally recommend to remove them but I know it can be a chorus to do so! Sometimes I got lazy and just leave them too 🙂 It’s really up to you if you don’t mind those tails. That is it! Simple as that!